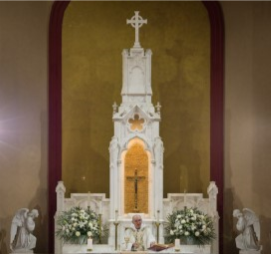 Usually 8:00AM, Noon and 7:30PM; Vigil Mass on eve of Holy Day. Our Church and Sienna Center are handicap accessible. Ramp and elevator located on Holzheimer Street at Sienna Center Main Entrance; and access ramp located to right of Church building behind rectory. 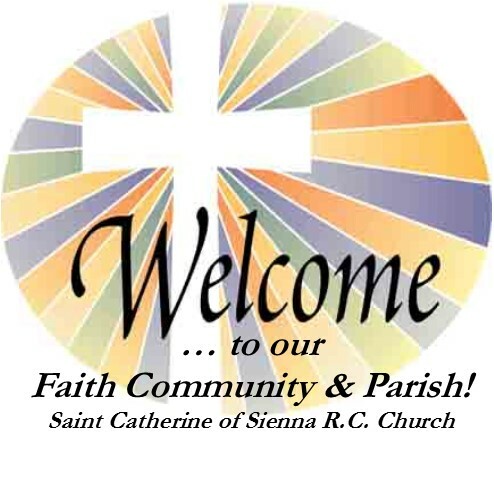 celebrate 2nd Sunday of Each Month at the 1:00PM Mass in the Sienna Center, Saint Catherine of Sienna Chapel. Our Youth Ministry Group leads faithful in song, with teens and young adults serving as Lectors and Cantors. All are Welcome!